In The Intervention: An Anthology (2015), editors Rosie Scott and Anita Heiss add their voices to a diverse and impressive range of writers and speakers, from renowned Northern Territory Elders like Rosalie Kunoth-Monks of Utopia and Rev Dr Djiniyini Gondarra of Galiwin’ku to literary heavy-weights like Alexis Wright and Bruce Pascoe. This is an important book, and the calibre of its contributors is only part of what makes it essential reading. As Scott explains in her launch speech, and in the acknowledgements, ‘This book has had a unique provenance. Being unable to find a publisher became a positive factor once the tide of support from the community and individuals [. . .] rolled in’ (261). 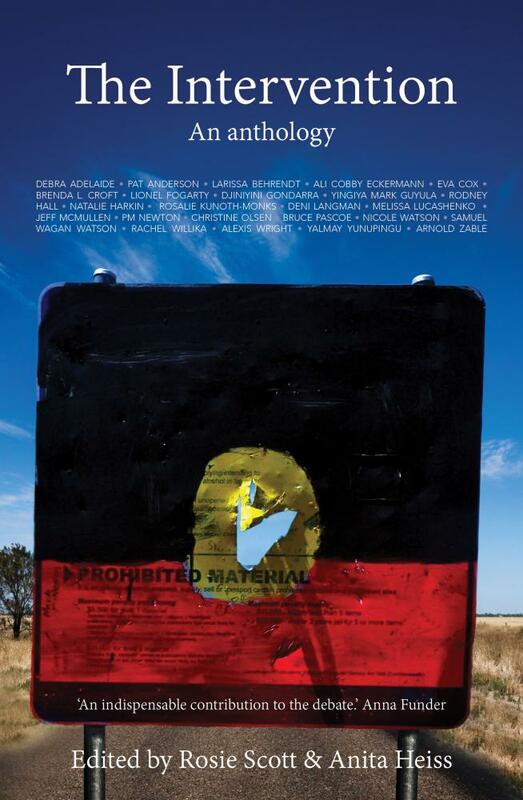 The anthology was published through the combined efforts of social justice advocates Concerned Australians, crowd-funding and individual donations, and so it is a resource made possible by those whose opposition to the injustices of the NT Intervention has translated into concrete support for the anthology. This is heartening news for a country whose successive governments seem to care so little about the rights of its first peoples. As Larissa Behrendt notes in her contribution, ‘the intervention in the Northern Territory is a textbook example of why government policies continue to fail Aboriginal people’ (67), and the contributions The Intervention: An Anthology explain, in various ways, some of the reasons for this failure, while the book itself is a symbol of community support. The Intervention: An Anthology contains several reports, essays and transcripts of speeches that document the NTER, and these are important forms of historical witnessing, from both Indigenous and non-Indigenous writers. But this anthology gives equal weight to writing as truth-telling that doesn’t require footnotes, and the anthology also contains a wealth of such responses. 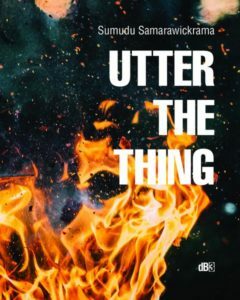 Poetry from Sam Wagan Watson and Ali Cobby Eckermann sits alongside short stories from Debra Adelaide and P.M. Newton. There are several first-hand accounts of life lived during the Intervention, by what the fiction and life-writing pieces share with the essays and reports is a unifying tone comprised of outrage, pain, anger and despair, as well as solidarity and a commitment to social justice and the pursuit of human rights. What sets the life-writing contributions apart is the way they function simultaneously as protest statements, trauma narratives and testimonials; and many of the most powerful pieces of life-writing in the anthology come from people who are not well known as writers. Some of the life-writing in the collection is transcribed from recorded speeches and so the act of writing itself morphs into the act of recording; spoken into written testimony. The personal recollections of what it feels like have to pay for groceries with a basics card, or to be terrified when the inexplicable arrival of army and federal police troops evokes the intergenerational trauma of the child removal are powerful, affecting acts of testimony. of course Little Children are Sacred and, of course, we must do what we can as a nation to stop their neglect and abuse. But we should do so consistently with human rights. To juxtapose human rights versus child protection is a false binary. Australia can both protect our vulnerable children and respect the fundamental rights of our first nations peoples to dignity and meaningful consultation and consent to laws that affect their lives. The Intervention: An Anthology has, since the writing of this review, been acquired by New South Books (forthcoming in July 2016). KATE HALL lectures in Literary Studies at Deakin University Geelong. She writes fiction and non-fiction, with recent work appearing in Overland, New Community and Pure Slush (forthcoming in 2016).